Many of our patients seek out Laser + Holistic Dental specifically to have their mercury fillings removed and replaced with modern, effective alternatives. We are proud to be the first dentist in Australia certified by the International Academy of Oral Medicine & Toxicology for the Safe Mercury Amalgam Removal Technique (SMART). Protecting our patients, our staff and the environment is critically important. Please use the links below to navigate through the page. It is documented scientific fact that ‘silver’ amalgam fillings contain about 50% mercury, and that mercury is a well known neurotoxin.1 The Laser + Holistic Dental Team believes that it is not in the interest of public health or the environment to use mercury based products – especially when they are being inserted into the mouth and remain there for many years.Unfortunately the dental profession has continued to use ‘silver’ amalgam fillings for dental restorations, despite the health and environmental risks. 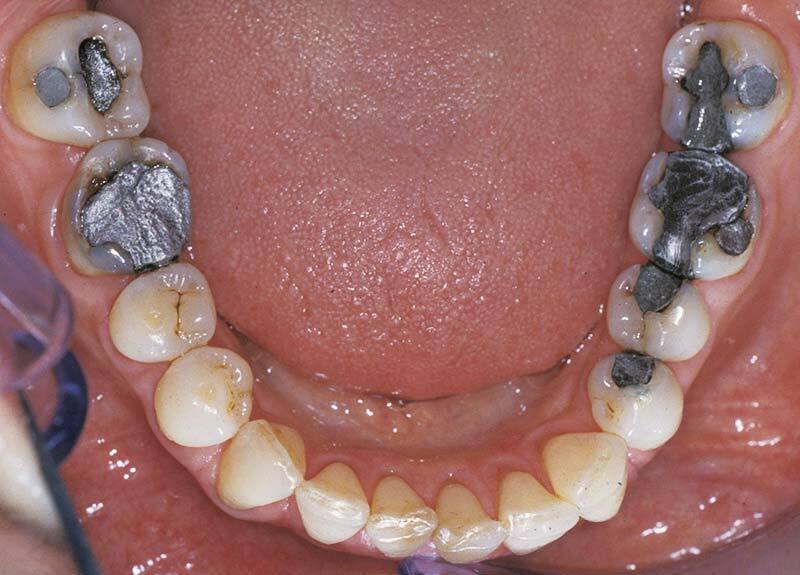 As more members of the public have become educated on the health issues of mercury exposure, through dietary sources such as fish – many have also made the connection that their ‘silver’ fillings pose toxic heavy metal exposure risk. Dentists at Laser + Holistic Dental have adopted the precautionary principle for more than 20 years choosing not to use amalgam fillings – preferring to use readily available cost effective, durable and cosmetically pleasing alternatives. Mandatory airway protection for patient and dental staff. Airway protection must cover the nose totally – nasal cannulas are inadequate for this purpose. Patients have a choice of either oxygen or nitrous oxide (happy gas). Eyes must be protected – for patients and dental staff alike. With strategic placement of suction both in front and behind the dam, our dentists can draw mercury vapour and particulate matter away from the patient airway. Laser + Holistic Dental staff use copious amounts of water whilst ‘chunking’ the amalgam filling, keeping it cool and reducing the amount of mercury vapour produced – which is increased under typical high speed drill removal procedures. We have amalgam separator machines installed to capture mercury waste, and preventing mercury entering the waterways. The waste is then collected by an authorised agent for toxic hazardous waste disposal. For further information about the mercury free dentistry procedures at Laser + Holistic Dental – please call (03) 9078 0387 or contact us today. Please submit your details below to receive an emailed PDF of the FAQs relating to Mercury Amalgam Removal. We will call or email you soon with more information about Mercury Filling Removals.